We can't remember when people, especially teenagers are used to carrying their cell phones on any time and plug the headset to listening to music and watch videos to enjoy their own world, regardless outside surroundings. For example, reading on a quiet corner, walking alone on the street, or taking bus, train or plane to somewhere, even sleeping on deep night. It is an efficient way to relax ourselves on such a fast-tempo and stressful society. In this case, audiobook was burn to satisfy our increasing demands, except for music and movies. As we all know, there are so many iPhone users all around us, so many people will listen to audiobooks on iTunes. But the problem is that how to sync iTunes Audiobook to our iPhone devices. 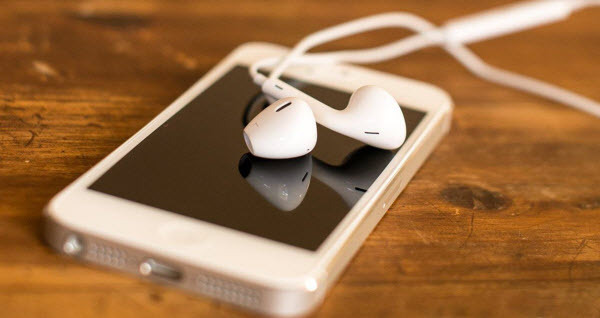 Here this article will share an easy way to sync iTunes Audiobook to iPhone devices. It is a totally different experience to listen to Audiobook. On the one hand, it replaces the traditional print book in a way to broaden the way of reading. On the other hand, it is different from the musical forms to expand the way of listening on devices. We can image that what is the feeling of listening to literary works, a book of poetry, cross talk and sketch on your spare time or when you do housework. Yes, it is amazing and the best experience in our life. Especially sleeping with listening a beautiful poetry on deep night. 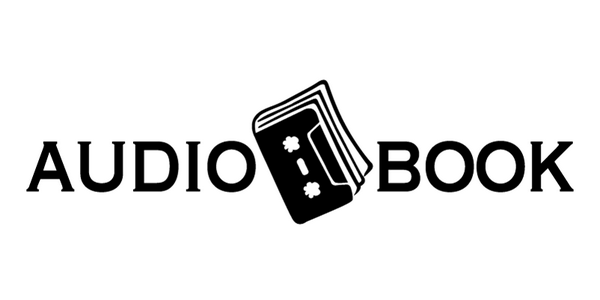 As iPhone users, you will purchase audiobooks from Apple’s iBooks Store or Audible and listen to your favorite audiobooks on your iPhone devices. But because of DRM protection, you can’t sync iTunes Audiobook to iPhone devices to play them in other music apps. So we need to kill the DRM of audiobooks and sync iTunes Audiobook to iPhone devices to enjoy it at any time and on anywhere. 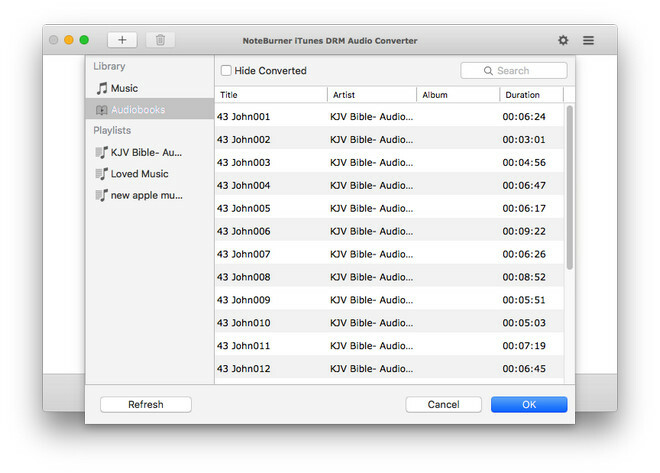 Here NoteBurner iTunes Audio Converter (For Windows | For Mac) will help you to remove the DRM of audiobooks and convert the DRM'd M4B, AA, AAX audiobooks to DRM-free M4B. Then you can transfer iTunes Audiobooks to your iPhone devices. 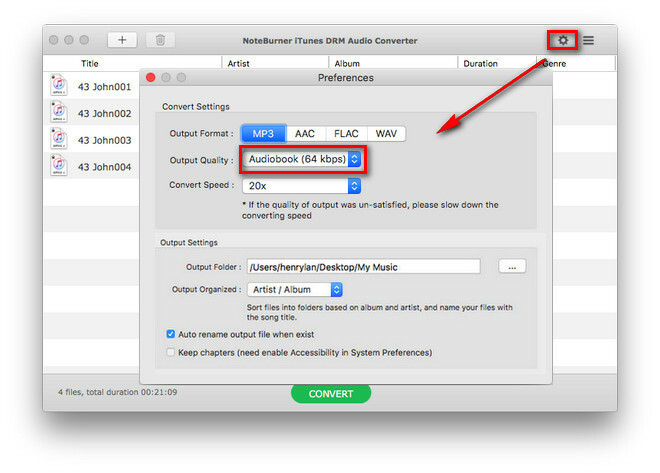 Convert iTunes M4A, M4B & Audible AA, AAX audiobooks to MP3/AAC/WAV/FLAC. Convert iTunes music and Apple Music files to MP3, AAC, FLAC and WAV. Convert audio files at 20X faster speed. The ID Tags will be preserved in output MP3 or AAC files after conversion. 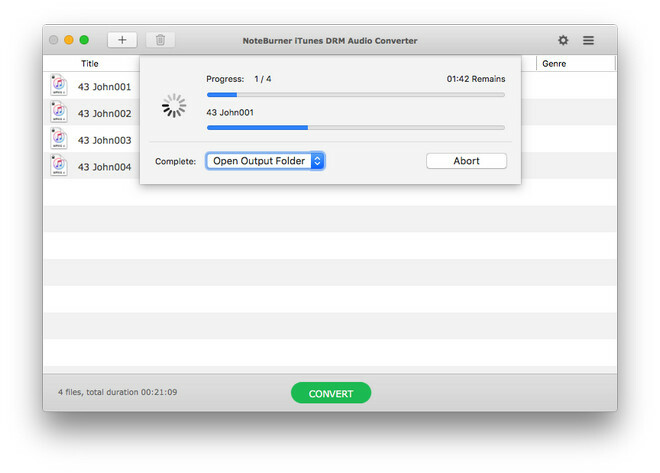 Step 1: Add iTunes Audiobooks to NoteBurner iTunes Audio Converter. Open NoteBurner iTunes Audio Converter and click “+” on the left top of the interface or “Click Here to Add Auido” on the bottom to add audiobooks you have downloaded from iTunes. There will pop up a window automatically and then click “Audiobooks” on the left. Choose the audiobooks you want to convert and click”ok”. Step 2: Step 2: Choose Output Format. Click “Preference” to choose output formats. There are MP3, AAC, WAV, or FLAC. As for iPhone devices, you can choose one of these 3 as an output formats. And on the output settings, you can change the output path to save your converted files. Once all the setting done, click “Convert” button to start converting. After finishing converting, you can input these converted audiobooks from hard disc to iTunes, or you can use syncios to transfer these audiobooks to your iPhone devices. In this way, the iTunes Audiobooks are synchronized to iPhone devices, and you can enjoy it more freely.